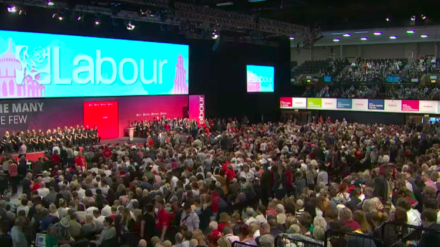 Delegates at party conference should have been given a vote on Brexit, LabourList readers have said. Just over half of people (52.7 per cent) said Momentum was wrong to “block” a ballot on Labour’s stance on Brexit. The Jeremy Corbyn-supporting group asked members to chose subjects other than Britain’s withdrawal from the EU among the four “contemporary motion” debates in Brighton. More than a third (38.5 per cent) backed Momentum’s actions while 8.9 per cent said they did not know. Readers also called on Corbyn to make early years and childcare the priority of its education policy rather than university tuition fees. Some 40.5 per cent said this area should be the focus of the party’s work shadowing Justine Greening, the Tory education secretary. Nearly one in five (18.8 per cent) said reducing fees – which Labour promised to abolish at the general election – should be the priority while 17.9 per cent simply said both were essential. The remainder said they did not know. Finally, readers of the blog want to see Corbyn argue for stronger action from the government to get aid into Syria. A huge 76.8 per cent said Labour should argue for Theresa May to do more to supply aid for the war-torn nation. Just 12.9 per cent opposed the move while 10.4 per cent said they did not know. The survey was carried out while Alison McGovern, Wirral South and chair of Progress, served as guest editor. Thank you to the 2,340 people who took part in the research.